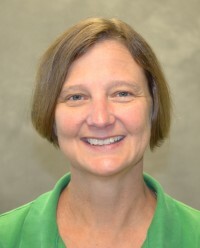 Trish Murphey is the watershed manager for the Albemarle-Pamlico National Estuary Partnership (APNEP) within the N.C. Department of Environmental Quality. Her responsibilities include carrying out the mission of APNEP to identify, restore and protect the estuarine resources of the Albemarle and Pamlico Sounds. She assists with the implementation of the Coastal Protection Plan as well as works with several APNEP Advisory Teams and represents APNEP on different committees in the APNEP region. Previously, she was the southern district manager for the N.C. Division of Marine Fisheries, within the N.C. Department of Environment Quality. Here, she oversaw fisheries management in coastal counties from Carteret County to the South Carolina state line and participated in the development of various fishery management plans including shrimp, bay scallops, hard clams and oysters. She has also worked for the National Marine Fisheries Service in Beaufort, N.C., and for the S.C. Division of Natural Resources. Murphey earned a bachelor’s degree in marine sciences from Florida Institute of Technology.